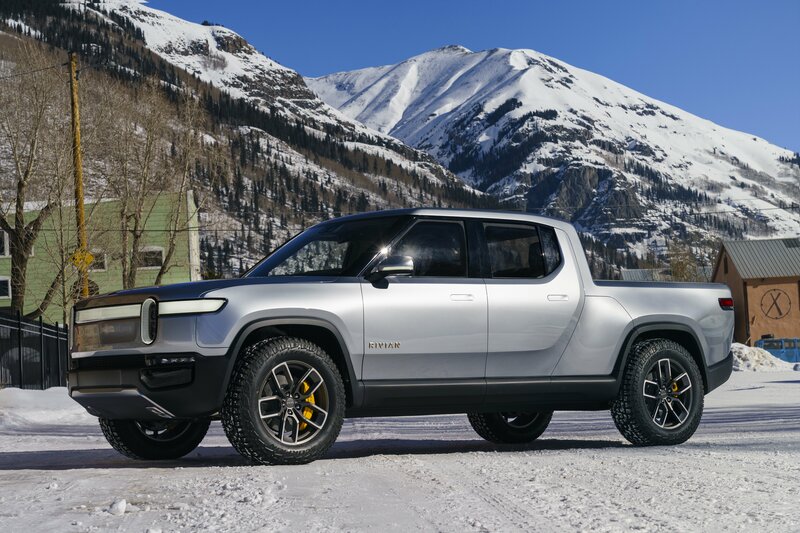 The all-electric pickup truck from Rivian moves closer to production. Getting the aerodynamics just right on a new vehicle is a big part of the design on any machine. 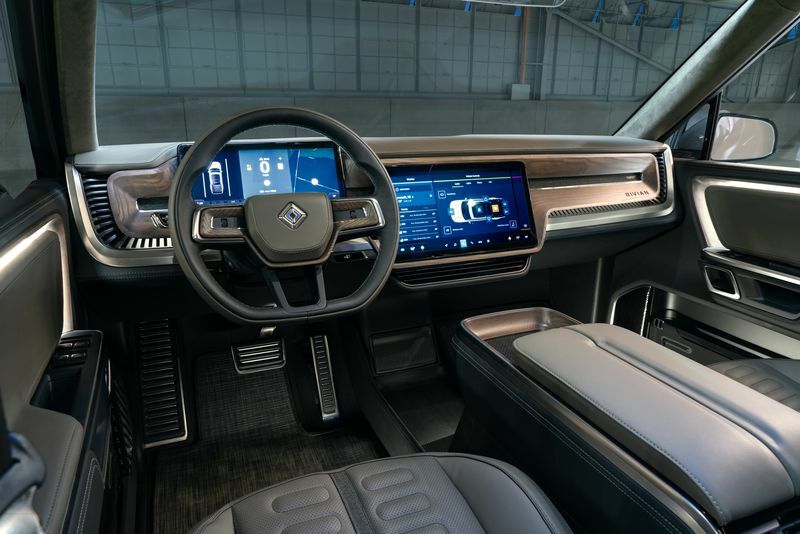 It is especially important, however, for an electric vehicle to be as slippery as possible in order for it to have any sort of meaningful driving range. The boffins at Rivian have been hard at work in the wind tunnel, using clay models and digital design to carefully sculpt the R1T’s flanks in a bid to eke the maximum number of miles out of a fully charged battery. Check out their efforts in this new video. A close study of the film doesn’t reveal much new detail about the pickup, especially since we’ve seen it up close and in person at the L.A. Auto Show. The mule in this video has different five-lug wheels than the truck which was shown publicly but that could be for any number of testing or transportation reasons. The eggcrate-like vertical feature on the nose of this video’s unit didn’t appear on the show truck, at least not as conspicuously, and there seems to be a more prominent body line along the cab on this clay model. A cutline for the innovative pass-thru storage just aft of the cab remains, which is awesome. While the words ‘electric’ and ‘off-road’ haven’t exactly gone together like bacon and eggs in the past, that could change if the Rivian R1T makes it to market with all its promised kit. It was shown in L.A. wearing an aggro set of all-terrain tires that wouldn’t look out of place on a Rebel or Rubicon. The company claims well over 30 inches of water fording ability which means that the battery pack, which is slung underneath the truck, can be submerged for at least short periods. Ground clearance is said to be around 14 inches and its unique quad-motor setup will be conducive to acting like a pair of locking front and rear diffs. 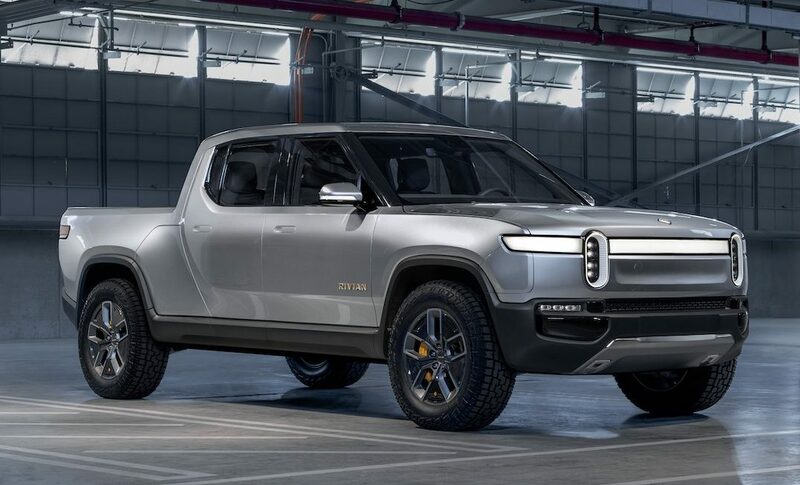 At the auto show, Rivian said will be a three different versions, all with a top speed of 125 miles per hour. In its most powerful guise, the company says its R1T will hit 60 miles per hour in three seconds flat, thanks to a total power output of about 750 horsepower. It’ll be good for about 300 miles of range. A 400-mile battery version of the truck slightly less powerful at about 700 horsepower, smoking the 60 mph mark in 3.2 seconds. The cheaper short-range version will apparently hit sixty in 4.9 seconds, with about 400 horsepower on offer and 230ish miles of range. Torque checks in at an astounding 826 lb-ft for the two strongest R1Ts and 413 lb-ft on the base truck. Like what you see? 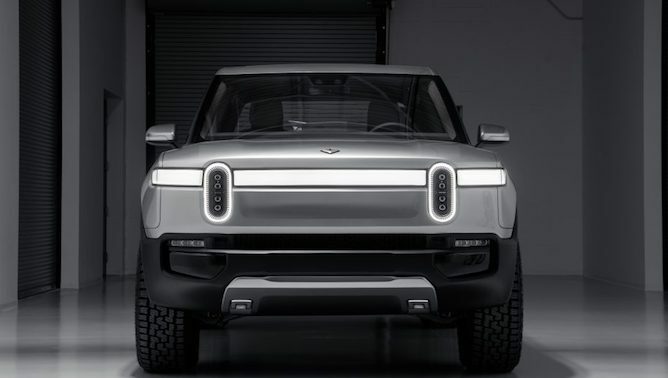 You shouldn’t have long to wait if Rivian hits their timeline targets, as they expect to start R1T production in the 2020 calendar year. Pricing should be on the higher end of the luxury truck game (read: around $90k) but we’ve also heard that entry-level versions could start near $69k after rebates.